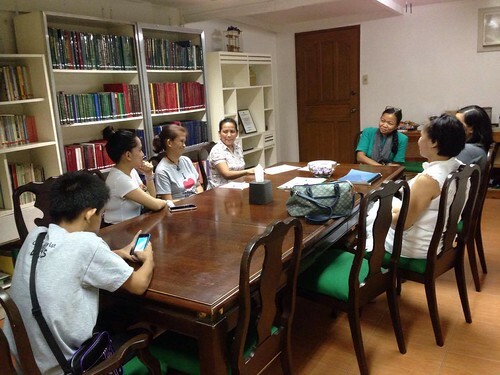 Parents must become "students of autism"
ASP UP CAMP Vice President Elizabeth Udquin led ASP’s Family Support Group at the ASP National Headquarters last 17 September 2016. ASP’s monthly family support group sessions bring together parents, siblings and other family members to talk about their journey in living with autism. Participants share their experiences and draw enlightenment and strength from others going through the same challenges. All participants shared their journeys about rearing children on the autism spectrum. Ms. Beth advised them to continue learning and to become “students of autism” -- to understand principles of speech and occupational therapy, special education -- to be better parents to our children. Each parent will never be an expert in autism; but they can be experts in how their child experiences his condition.